I've got a request to do my skincare routine more than any other request in my year and some change of doing YouTube videos and blogging. Mind you, I'm not a skincare expert, hit up our girl Mischo Beauty for that. Instead, i've found what happens to work for my sensitive, dry skin. A lot of you fellow bloggers/cosmetic junkies knows that it's hard to pick one specific routine since we love to try out so many products. In the last few months, I've found a routine that works great for me. Last fall my skin was starting to look tired and dull and I vowed to take better care of my skin. Check out the video explaining my skincare regimen! I'm not wearing any makeup in the video so you can see what my skin really looks like. First I like to remove most of my makeup with the Mandom makeup remover. I hopped on the Mandom train, this stuff is the ish! Doesn't sting, and can get that pesky mascara, lash glue and liner off. It saves a lot of trouble to at least take off your eye makeup first. Use a cotton pad...they're better than cotton balls because they don't leave fibers behind. If I have a crazy amount of makeup from something like a Halloween tut, I'll use MAC cleanse off oil and rub it into my entire face dry, then wash it off. It works pretty well too but can get into your contacts. Gotta cleanse! I do this morning and night. This cleanser doesn't really take the makeup off so that's why makeup remover is important. Instead, I feel the glycolic acid tingling and rebuilding my skin...getting rid of scars and what not. 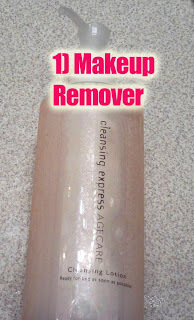 Toner helps get whatever dirt is left from the first two steps. It also makes my moisturizer sink in better. I love this Alba toner so much I'd definitely repurchase it. It smells yummy and isn't as harsh as some of the other toners I've tried. 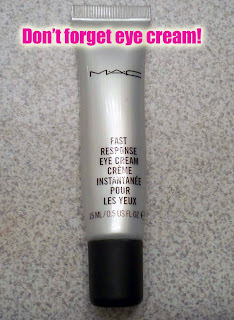 This is my second tube of MAC cream in a year...lasts a good while for a small tube. 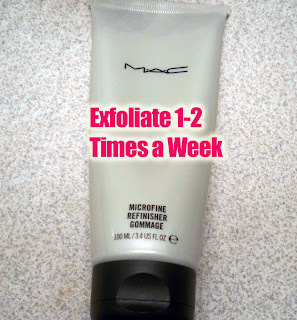 It feels like it has silicone in it which makes it a great prep for eye makeup. Ladies, we gotta start wearing eye cream now so we don't get wrinkles later! The Genucel Skin Line is another good option for reducing dark circles and eye bags. My throwback moisturizer...I started using it in my Dermatologist days and haven't stopped. This jar lasts foreverrrrrr. My HG lip moisturizer. I have a separate one for my clients as well. Everyone loves it! Gotta condition those lashes. I find mine to get a bit dry and thin from all my falsies. These have strengthened them and I feel like my bottom lashes are definitely longer. I know Queen Helene is a popular drug store fave. I picked this one up because they didn't have the Mint Julep Mask. It seems to work though...my skin feels super soft afterwards. To keep skin bright and glowy, you gotta exfoliate. When I feel my nose getting gunked up and bumpy from black heads, this takes care of it. It also let's new skin shine through so you never have that dull look of winter skin. I'll always love my pore strips. 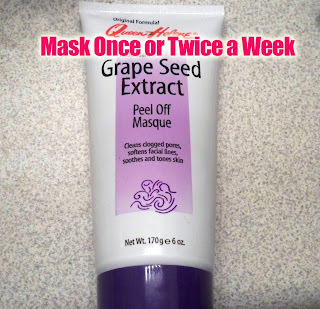 It seems to work like no other in removing all that gunk from my nose...which is my problem area. I hoard these though since there's not that many in a box and I run through them! So I hope you guys enjoyed my skincare regimen. I have been a proactiv user for 4 years and I want off! 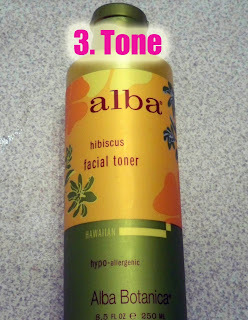 It works but its boring =( I think I am going to try the Alba Hibiscus toner, sounds lovely... and maybe I will try your moisturizer and cleanser as well. 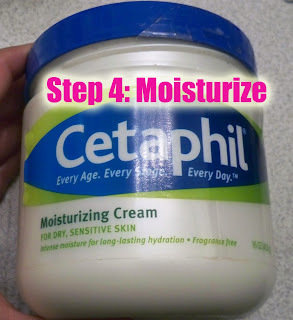 I have heard lots of good things about cetaphil. 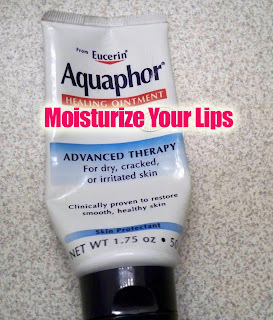 lucy liu swears by acquaphor! (sp) what are the lash thing you mentioned? i can't see the name. Thanks! thanks for sharing your regi! Your skin looks great. thanks for sharing your skincare regimen! I admit I haven't been taking good care of my skin (I know it's awful!) but reading your post now inspires me to take extra good care of my skin. thank you much! 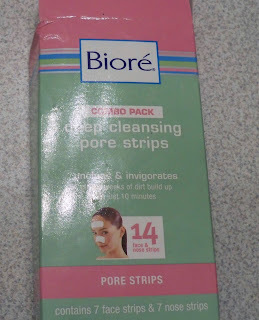 you can try getting the biore nosestrips on ebay for so much more cheaper, i think they're the japanese biore type though that's why it's so much cheaper, but it works exactly the same. You'll save yourself so much money, i believe it's like 60 strips for maybe less than $25 w/ shipping. i use cetaphil for my son and that tub at costco is the best! its like $9 there vs. the almost $17 i've seen at drug stores. Thanks for sharing your regimen..i realize that I haven't been taking the best care of my skin..i take it for granted for sure! 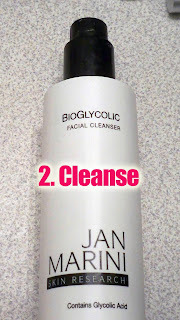 your regimen is extensive yet simple : ) the cleanser is great btw. thanks! That Alba toner always catches my eye. I have about half a bottle left of my current toner before I can try it. I love the Queen Helene masks. I love your skincare routine! You've got such great skin!!! ohhh i'm definitely getting on that Mandom stuff!!!! keep hearing soooo many good things about it!! i am def gonna get an eye cream.. which other ones r there thats good, just mac? I'm going to try the MAC eye cream.